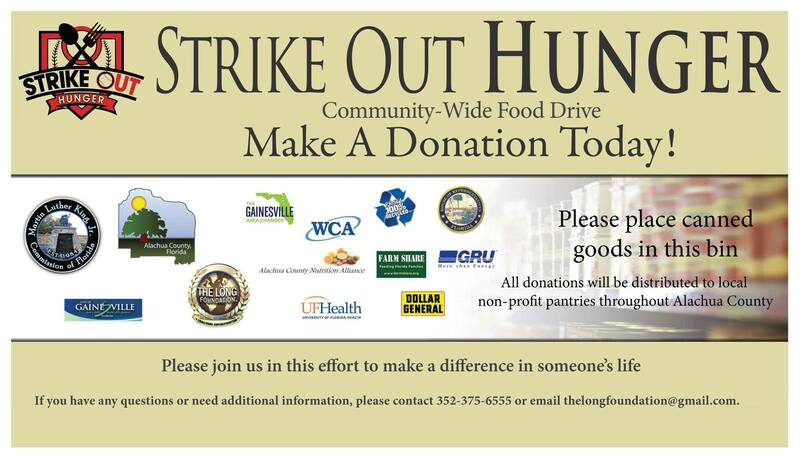 The Alachua County Tax Collector’s Office is participating in the Strike Out Hunger, community-wide food drive event. We have donation boxes setup at each location and are accepting donations of canned and non-perishable food items from now until the end of October. The beneficiaries of the food items will be citizen’s of Alachua County and nonprofit food banks and pantries. If you need additional information on the Strike Out Hunger Week, please contact The Long Foundation or the MLK Commission at (352) 371-4566.